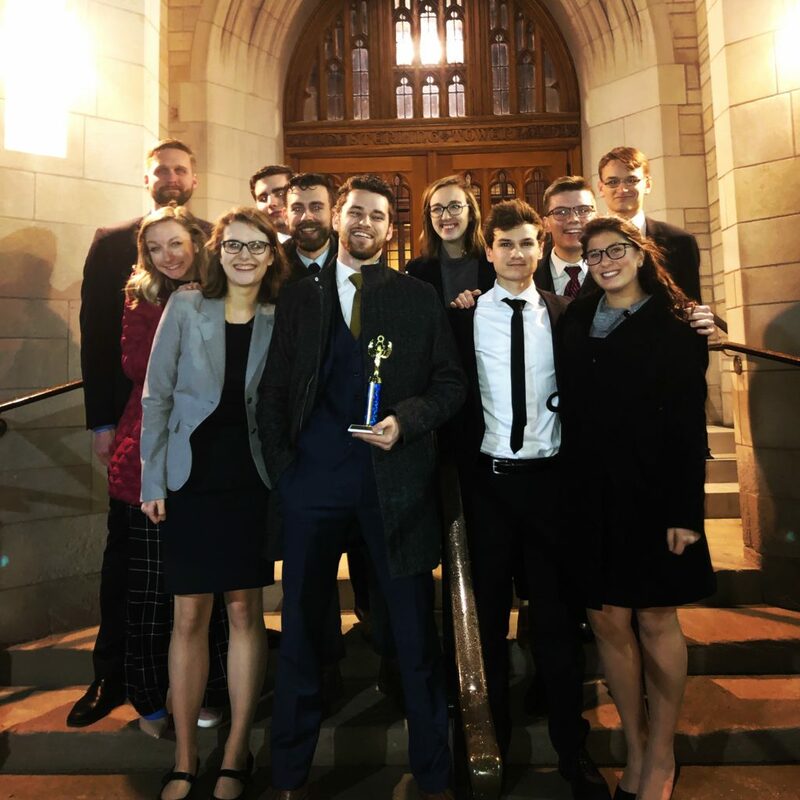 The Hillsdale College Mock Trial Team 1126 trav­elled to New Haven Con­necticut this weekend, where they took second place at the Yale Invi­ta­tional Tour­nament. Team 1126 tied with Lafayette University’s A team in the first round Sat­urday, and after some mid-round adjust­ments to their witness call order, they tied Yale University’s A team in the second round. The team beat Brown University’s A team and Northwestern’s A team on Sunday and fin­ished in second place overall. Junior Mason Aberle, co-captain on Team 1126, won the top attorney award, and sophomore Konrad Ludwig won the top witness award. “Konrad brought it and does it every tour­nament,” Aberle said. Last year, Team 1126 was invited to Yale’s B tour­nament. This year, the com­pe­tition was more chal­lenging, as the other 27 teams in the tour­nament have all com­peted at nationals before, sophomore Emma Eisenman said. 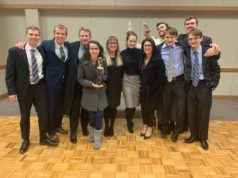 Hillsdale’s Mock Trial team has not yet attended the national tour­nament. The team attributed their improvement this year to the team’s lead­ership and the good working rela­tionship between Coach Jon Church ’17 and cap­tains Aberle and sophomore Sophia Klom­parens. This was Klom­parens’ first tour­nament as co-captain for Team 1126. Both Klom­parens and Aberle kept the team focused and serious during the rounds, Eisenman said. Eisenman com­mended both cap­tains for their lead­ership. 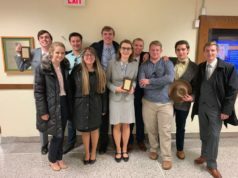 After winter break, Hillsdale College Mock Trial Team 1126 will attend Cornell University’s Big Red Invi­ta­tional Classic on January 20 – 21, and Team 1127 will attend Indiana Uni­versity Hoosier Hoedown Tour­nament the fol­lowing weekend. 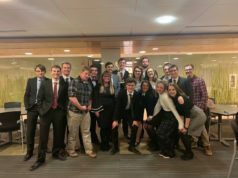 They will go on to the American Mock Trial Asso­ci­ation Regional Com­pe­tition before heading to the Opening Round Cham­pi­onships and, hope­fully, the National Cham­pi­onship. Very well done! The sense of achievement from a big win like that must be cathartic. Quite an achievement.